Please refer to our stock # 0680 when inquiring. 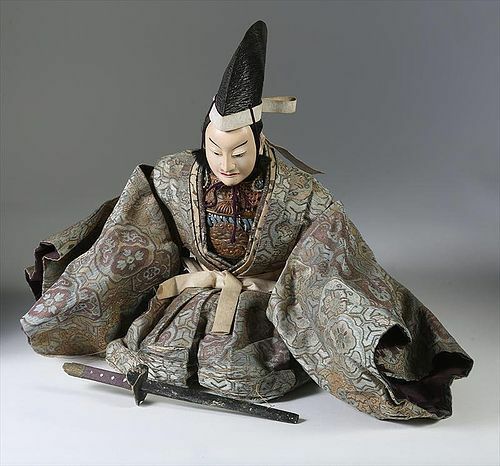 Munga Ningyo of a Samurai in Court Attire by Toyotomi Hideyoshi. Late Edo Period. Height: 10 inches, 25.5 cm.